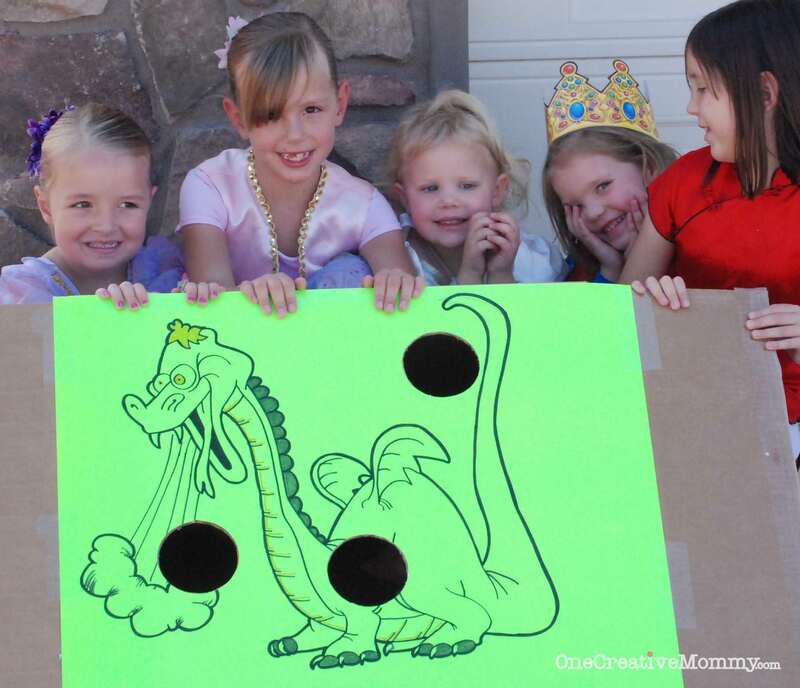 If you have little girls, chances are that you will probably get to host at least one princess party in your lifetime! So far, I’m on princess party number three (with more to come!) 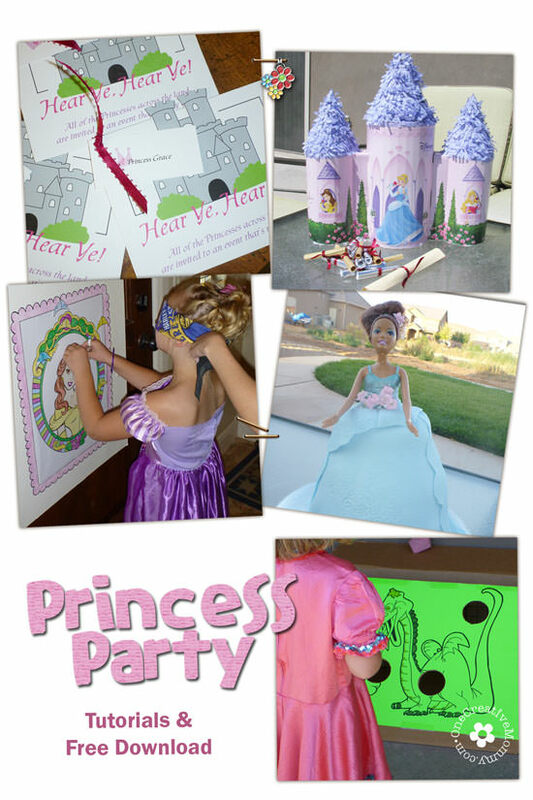 Today I’m sharing ideas and tutorials for most of the projects from Lu’s princess-themed 5th birthday party. 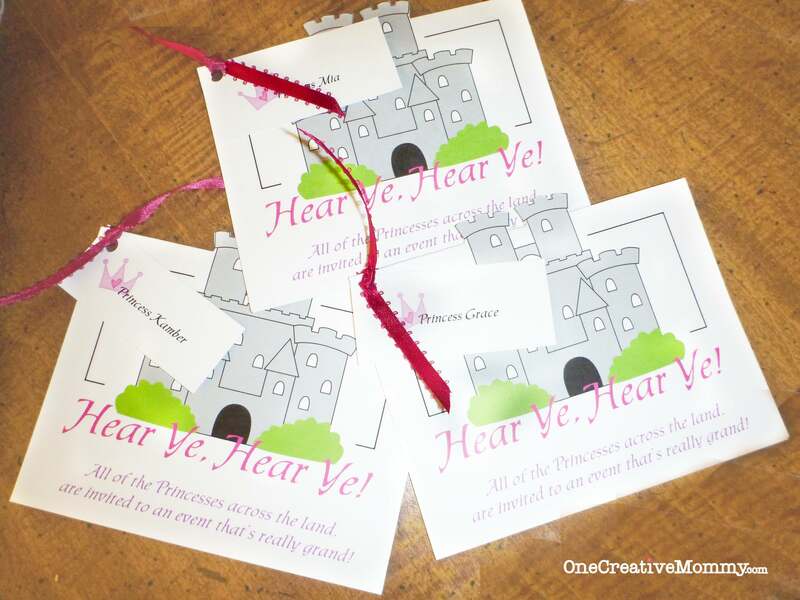 Printables to go with many of these projects are included at the end of the post. All of the Princesses across the land are invited to an event that is really grand! You are cordially invited to (Lu’s) Royal Birthday Celebration! Please have your carriage drop you off at (our address) at (time) and return for you at (time). If you would like, please come dressed in your finest princess attire. R.S.V.P. 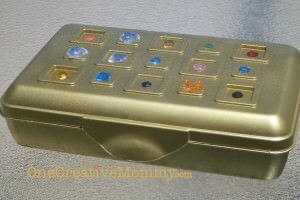 Regrets to (Lu’s) mother, Queen Heidi (phone number). If you plan to do a party like this–plan ahead to save money! I forgot. For this project you can use empty baby wipes boxes, flushable wipes boxes, or school pencil boxes. The first time I did this party, I used a coupon to buy flushable wipes and saved tons of money. I didn’t have a coupon this time, so I used what I had around the house and bought pencil boxes. If I had planned ahead, I probably could’ve gotten the pencil boxes half off during school supply sales. 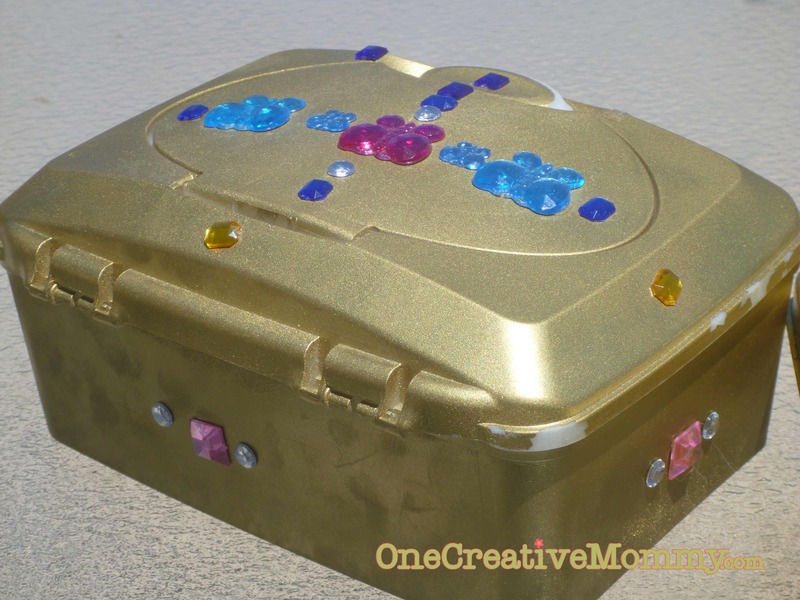 All you need is gold spray paint, glue or glue dots, and fake jewels (or princess foam stickers). I splurged and bought a “bucket of bling” at Walmart. 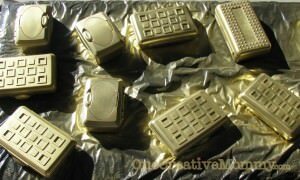 At least a day before the party, spray the outside of your plastic containers with gold, silver or bronze spray paint. The paint will not be permanent unless you find a plastic spray paint that comes in metallic. I didn’t find one, but so far one of our boxes from a previous party has lasted 2 years with only minor paint flaking. 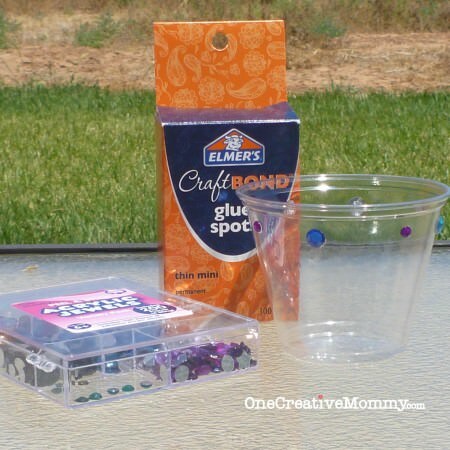 During the party, give each child a strip of glue dots (from the scrapbook aisle) and put the bucket of bling where all can reach it. To adhere the bling to the box, the kids place a jewel on a glue dot, pull it off, and stick it on. Easy. 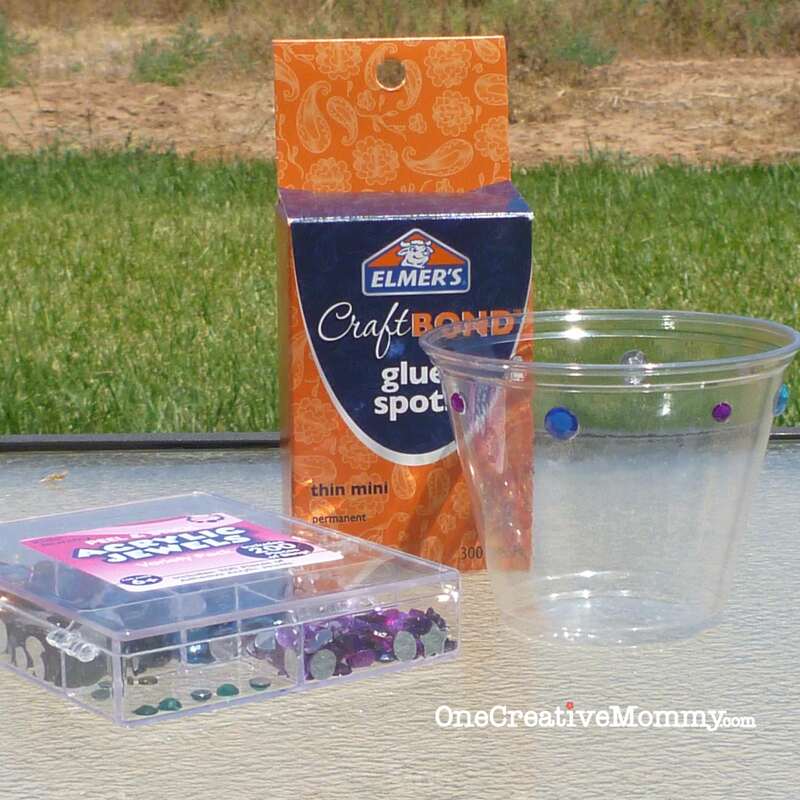 (Regular glue works, too–it’s just messy! Or, you can buy bling stickers. They just cost more.) The boxes are now ready to be filled with treasure! 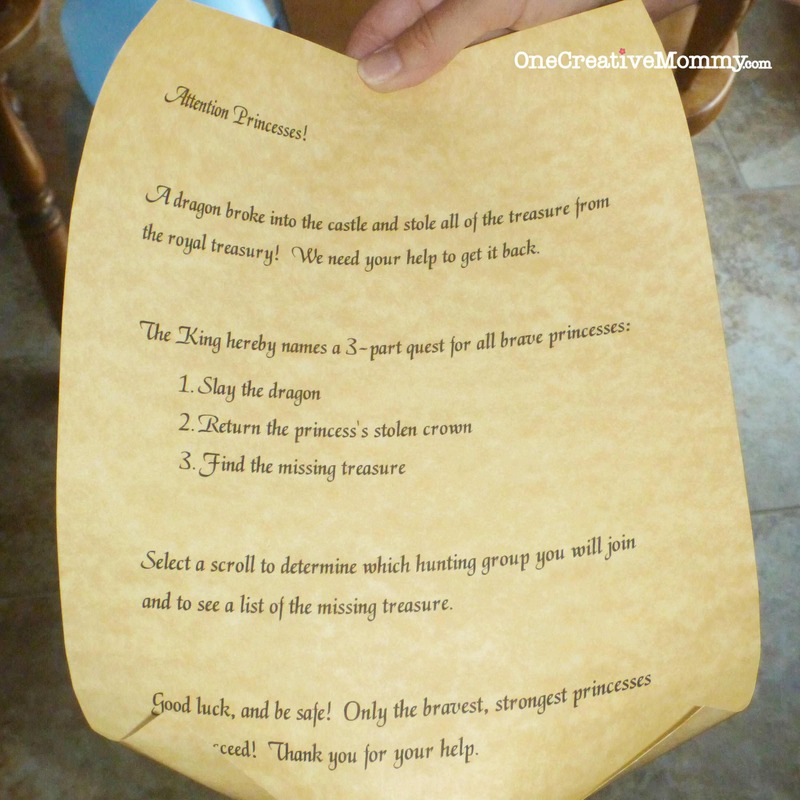 A dragon broke into the castle and stole all of the treasure from the royal treasury! We need your help to get it back. Select a scroll to determine which hunting group you will join and to see a list of the missing treasure. Good luck, and be safe! 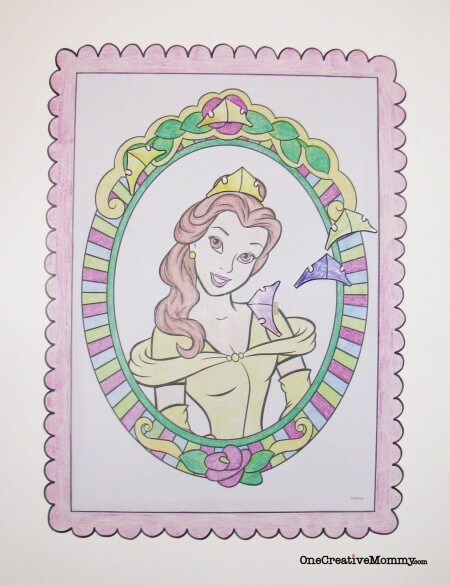 Only the bravest, strongest princesses will succeed! Thank you for your help. 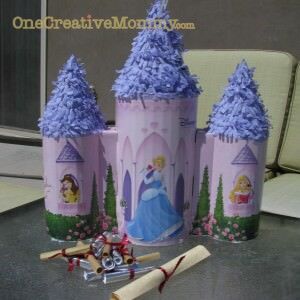 I originally made this two years ago for Boo’s princess party. It held up very well! To create the dragon, I found a picture I liked online and enlarged it to fit the poster board. After coloring it and taping it to a large box, my hubby carved out the holes and invented a way to make it stand. Each time we’ve used it, he’s made it stand a different way. My best advice–just experiment until it works! How’s that for a great tutorial! Sorry. 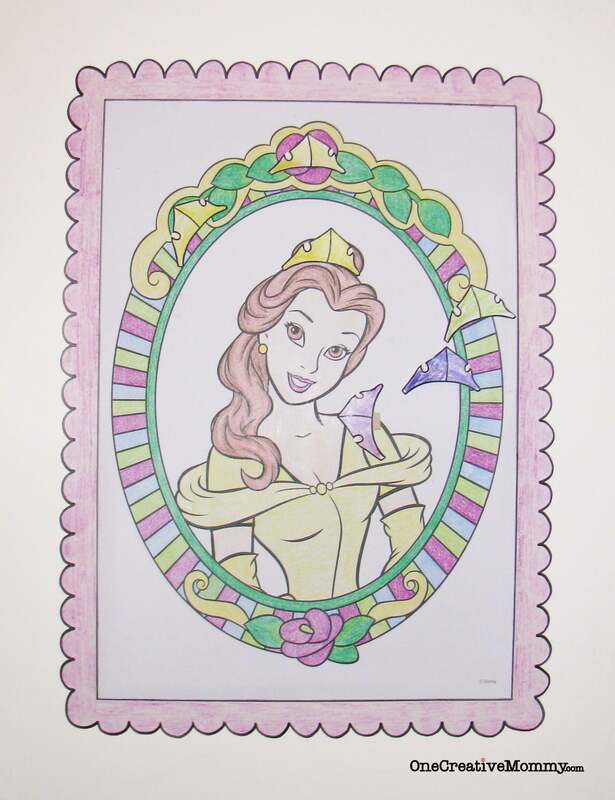 I copied the crown off of Princess Aurora and adjusted the size to fit Belle. The girls played the game just like Pin the Tail on the Donkey. This is the easiest part! 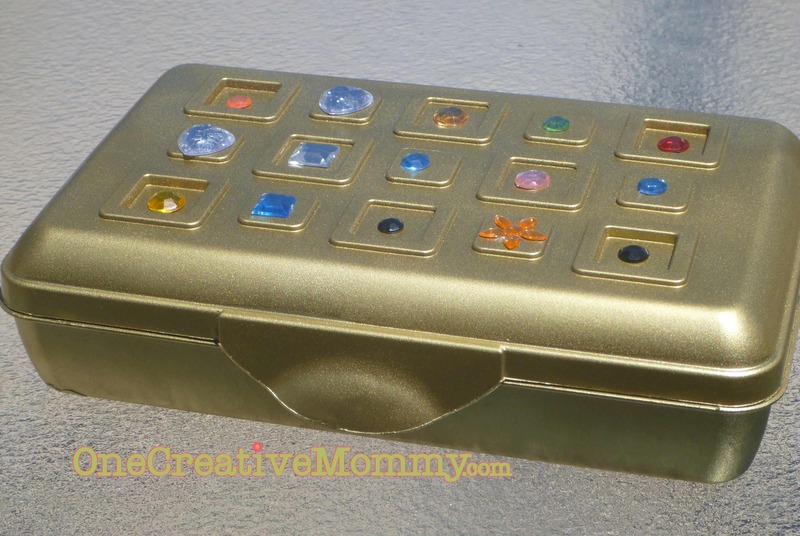 All I did was purchase some inexpensive toys that seemed like “treasure” and hid them throughout the house. The girls were to take only one of each item. I hid the tiny bubble wands inside balloons, so the girls had to pop them to retrieve theirwand. 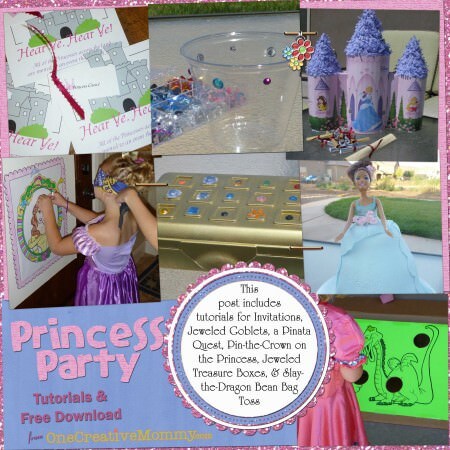 Free Printables for these Princess Party Ideas! You don’t have to add it to your cart. Just click on the link above to download. Enjoy! You can find my two Princess Cake Tutorials here and here. To see details from the actual party, check here. What a fabulous Princess party!!! Congrats! Your sweet post was one of our top crafty picks from this past week’s Crafty Showcase. We are featuring you on our blog and will be giving you a shout out on Facebook, Twitter and Pinterest! Thanks for sharing! Stop on over and link up some new ideas Sat-Thur when our Showcase opens back up!